BPPV, which stands for benign positional paroxysmal vertigo, is a disorder of the inner ear which causes sudden episodes of vertigo upon changing the position of the head. Vertigo is defined as the sensation of spinning or whirling (of either the individual or their surroundings) and loss of balance. BPPV is one of the most common causes of vertigo and can produce brief but intense episodes of spinning. 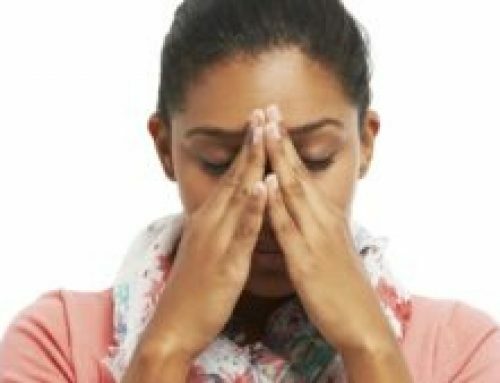 A person might have their first BPPV-related vertigo episode when they roll over in bed at night, sit up from lying down first thing in the morning, rise up from a bent position, or make any other type of movement that causes a relatively quick change in head position. Experiencing your first BPPV episode can be alarming – all of a sudden it seems as if the world won’t stop spinning around you or that you are spinning out of control even when, moments before, everything seemed normal. Within your inner ear, calcium carbonate crystals (otoconia) are normally embedded in the gel of the utricle. These crystals can become dislodged and migrate into one of the three fluid-filled semicircular canals where they aren’t supposed to be. These crystals can interfere with the normal movement of this fluid, which essentially lets the brain know how the head is positioned in space. With the presence of these crystals, false signals concerning movement are sent to the brain which essentially causes a mismatch with what the other ear, eyes, muscles, and joints are sensing. This causes the false sensation of motion that we know as vertigo. How is BPPV Usually Treated? The first thing that many people are given upon diagnosis of BPPV is medication. Drugs known to be vestibular suppressants such as antihistamines and certain sedatives as well as anti-nausea medications are often used to reduce symptoms. The variable success rates, as well as the potential for unwanted side-effects, must be weighed when considering options. In other cases, BPPV can be addressed by using certain maneuvers that aim to reposition the errant crystals to a place where they won’t continue to disturb normal inner ear function. 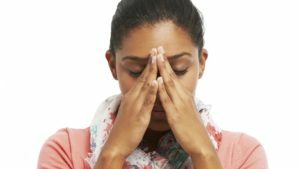 The best-known maneuver is called the Epley maneuver which can be performed by a healthcare provider or there are even online videos to guide someone through the steps to perform it at home. Unfortunately, these maneuvers are not effective for all presentations of BPPV, and an abundance of caution should be used when attempting a treatment option like this without the guidance of someone who is fully trained. Unfortunately, BPPV can and does reoccur periodically. Approximately half of BPPV sufferers will have a relapse of symptoms in the 5-year period following the first episode. 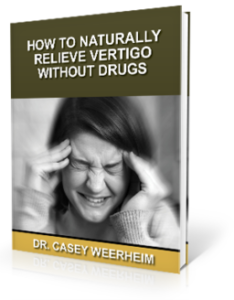 This is particularly true of vertigo episodes that began following a trauma or injury to the head or neck. Upper cervical chiropractic is a safe, gentle, and effective way to address the underlying cause of vertigo-causing conditions like BPPV. To understand how upper cervical chiropractic care can help with vertigo, it’s important to first learn how your body maintains its sense of balance. When everything is working as it should, staying upright and in balance isn’t usually something we consciously have to think much about. We are able to navigate through a dark bedroom or over an uneven surface without putting much thought into it. However, your sense of balance can be impaired by dysfunction of your body’s balance system, which relies on input from your eyesight, touch (proprioception), and vestibular function (spatial orientation, movement, and equilibrium). The input from all of these sources is sent to the brainstem to be sorted and integrated in order to coordinate the appropriate response needed to maintain balance. When the brainstem is not functioning properly, it can impede the normal signaling cycle and lead to the development of vertigo disorders. At the upper part of the neck where it meets the base of the skull, your atlas (C1) and axis (C2) vertebrae protect the brainstem as it branches off from the brain and transitions into the spinal cord below. These vertebrae need to be extremely movable to accommodate for the range of motion of the head. However, since they are designed to favor movement rather than stability, they are also prone to misaligning. When an upper cervical misalignment happens, typically as a result of an injury, accident, or wear and tear that occurs over time, it can begin to irritate the brainstem and eventually compromise its ability to function properly. This is often an underlying factor for many vertigo sufferers, and once corrected, can lead to a decrease or disappearance in symptoms. If you’re looking for a vertigo chiropractor in South Dakota, Upper Cervical of Sioux Falls is the perfect fit. We take care to analyze and correct upper cervical misalignments that can be part of your vertigo solution. Our approach is thorough, precise, and doesn’t require the force that people normally associate with a chiropractic adjustment. Since upper cervical chiropractic care is aimed at correcting and maintaining normal alignment, it has proven to be a natural, lasting solution to addressing the concerns of our vertigo patients. To learn more about how we can help, contact us to schedule an obligation-free consultation. It might just be the first step towards getting back to a better quality of life. To schedule a complimentary consultation with Dr. Casey Weerheim call our Sioux Falls office at 605-275-6900 You can also click the button below.